What does Tiscon ReadyBuild stand for? Hello, welcome to the world of Tiscon ReadyBuild; a downstream service brand which gives customised solutions for all your construction needs related to rebars. In line with the endeavour to come closer to the infrastructure industry, Tiscon ReadyBuild stands as an effort to simplify your life and brings hassle-free construction for you when it comes to rebar usage. 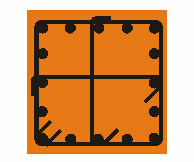 Adding to the long list of innovations in products & services, the latest entrant from Tata Tiscon is Tiscon ReadyBuild. In the future, Tata Steel plans to add more downstream products & services like pilecages and meshes under Tiscon ReadyBuild brand. Currently there are 18 operating production facilities to provide ‘Cut & Bend’ services that covers the length & breadth of the country. What is Cut and Bend? 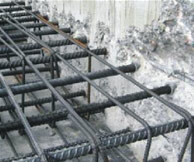 The cut and bend structures required in construction often use rebars of different shapes and sizes. 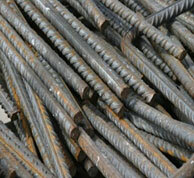 Often cutting & bending of the rebars is done at the construction site by the unskilled labours. Since it is manually done by the labourers, there are high chances of inaccuracies & inefficiencies in the system. There are many other challenges that are faced by different stakeholders during the construction process that includes timely availability of material, skilled labour shortages, wastages, scrap disposal etc. Cut and bend service under Tiscon ReadyBuild aims at providing customised shapes of rebars needed at the construction sites. With ReadyBuild, the construction companies don’t need to worry about the availability of SKUs needed in the Cut and Bend structure. The ReadyBuild Centres customise the lengths of the rebars and bend them at required angles in accordance with the project’s blueprint. It is capable of making the common shapes stirrups to complex helical shapes. The cut & bend production processes at ReadyBuild Centres involve 3 world class fully-automated Italian make machines. 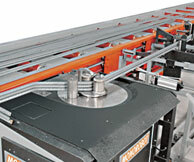 Shearline is a specialist cutting machine that cuts the rebar to required length with extreme precision. 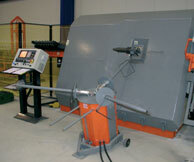 Robo Smart is a bending machine that gives rebar the required shape by bending rebars at required angles. 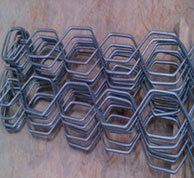 It can bend rebars of all sizes ranging from 6mm-40mm. 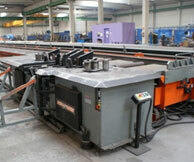 Prima R is a specialist coil machine which is used to make stirrups of different shapes. 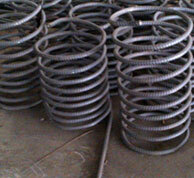 It uses the coils of sizes 6mm-12mm. Tiscon ReadyBuild provides the reliability of steel and supply, better site productivity due to reduced involvement of labour and reduced wastage. These centers give a 'just-in-time' delivery service that works like clockwork to meet a project's 'cut and bend' needs in compliance with the client's working schedule. At an overall level, use of ReadyBuild will facilitate timely completion of projects leading to a better Working Capital Management and revenue realisation for construction companies. The ReadyBuild Centres are designed on and supported by the technology used in the cut and bend service offered by NatSteel, a wholly-owned subsidiary of Tata Steel. Couplers are hollow mechanical structures which are threaded inside and screwed on to two rebars, which are combined to form a mechanical joint. Tata Tiscon is the only Indian steel producer that manufactures its own line of mechanical couplers, which are to be used with Tata Tiscon rebars. 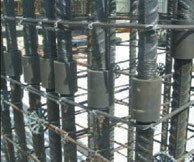 A coupler is used to reinforce bar joints between two rebars. 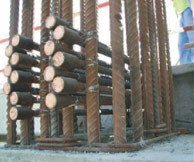 The existing method to combine rebars is called ‘lapping’. 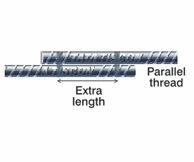 This is a process where two rebars are laid parallel to each other over a certain length and then tied together using a binding wire. This lapping process is extremely difficult, labour intensive and time consuming. Furthermore, it involves the usage of additional material like concrete, rebars and wires to increase the strength of the joints which leads to an escalation in costs. 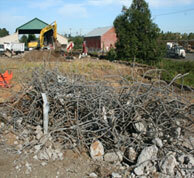 In accordance with the IS 456-2000 code of practice, mechanical couplers can be used to combine two rebars. Tiscon ReadyBuild’s Couplers comply with En8D grade to ensure the chemical composition of all products match their predefined specifications. Our couplers are available in an SKU range from 16mm to 40mm, covering a wide range of customer needs, while ensuring structural integrity and savings in costs. 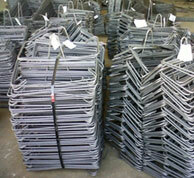 Tiscon Readybuild now offers professional service to develop Bar Bending Schedule customers. This BBS can be created using Auto Cad drawing or any other format like PDF or hardcopy.